The contract will see the company’s specialist team provide building services engineering on all planned development and refurbishments over the next five years. The first project for the new consultancy framework will be the refurbishment of Cloth Hall Court in the city centre, to upgrade and add conferencing facilities. 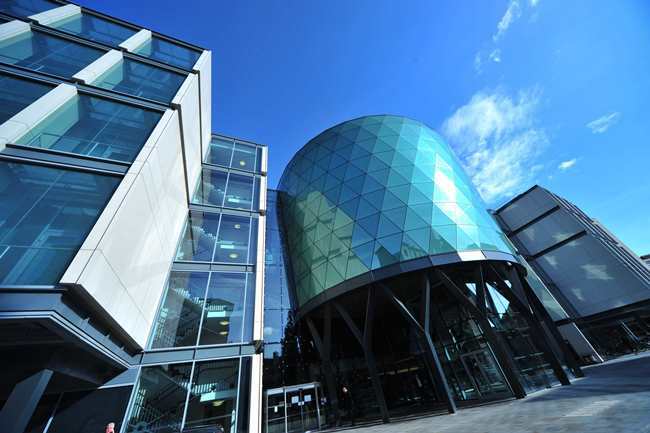 WSP | Parsons Brinckerhoff will provide a sustainable approach to development which will help deliver Leeds Beckett’s target to reduce its carbon footprint by 35 per cent by 2020. Another key factor in WSP | Parsons Brinckerhoff’s appointment is the team’s specialist knowledge of the latest technologies and integration of Building Information Modelling (BIM) software, which is revolutionising the construction industry. The technology allows information collated from the entire design team – architects, planners and engineers – to create a single information rich 3D digital model of a physical building. This digital model can then inform every stage of the building’s life cycle; from design to construction and beyond, reducing the risk of errors and minimising abortive costs. In response, Leeds Beckett University has led the way in Yorkshire, setting up the ‘ThinkBIM Network’ to provide support and information to enable the smooth transition towards the use of BIM in projects. WSP | Parsons Brinckerhoff has been working as part of the ThinkBIM initiative since its inception, regularly hosting thought-leadership events and conferences to educate the wider construction industry in the region. Derek Devereaux, head of Leeds building services at WSP | Parsons Brinckerhoff, said: “We look forward to further cementing our relationship with Leeds Becket University, having worked closely with the team there on initiatives such as ThinkBIM and also Green Vision, which looks at practical ways in which we can move towards a low carbon construction industry. WSP | Parsons Brinckerhoff in Leeds, which has a 268 strong-team, has worked on a number of high profile University projects in the region, having provided a range of engineering services on the Sheffield Hallam consultancy framework. Other key projects include the £20m Law and Management building at the University of York and the award-winning Sir Titus Salt Library and Graduate Resource Centre at the University of Bradford.